Hardwood floors are homeowner's popular choice because of hardwood floor's versatility and the enhancement of the beauty of their homes, as well as the value. Solid hardwood flooring is made of one solid piece of wood, instead of layers of wood, solid hardwood floors is ideal for more areas which are at ground level or above and is nailed or stapled to the wooden sub floor. Thicknesses vary. The most common thickness is ¾". 5/16", thin profile options are less common and can be glued over hard surfaces such as concrete. Engineered hardwood flooring is engineered from multiple layers of solid wood pressed together in a cross-ply (layer) construction, grains run in different directions. The construction makes it dimensionally stable and suitable for stapling, gluing or floating over wood, concrete or your existing floor. 3- or 5-ply construction is typically available, the most common engineered flooring thickness is ½". It is a good option for all areas of the home, due to its outstanding strength and moisture resistance, and especially for below-grade areas such as basements, or radiant heated rooms. A topcoat, or finish, protects and enhances the beauty of hardwood floors. Whether you choose a pre-finished or site-finished floor, personalizing it to your style is an option. Factory pre-finished floors come in a wide variety of colors, saves your hours of labor, cleanup and exposure to flames. They're easier to install and endure better because they're stained, finished and dried in a controlled environment using high-performance equipment. 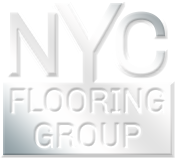 Once a high-performance urethane coating is applied, pre-finished floors can receive up to 7 passes of ultraviolet light to cure the urethane, leaving a long lasting finish. Most pre-finished floors come with a limited factory finish warranty.